So now that you have people planning to attend your open house, this is your time to share who you are. Your open house should be engaging. If you haven’t already, reflect on who you are as a school. What words do people often use to describe your school? For example, do people notice that it feels like one big family, or that the academics are very rigorous, or that the staff are very down to earth? To make your open house engaging, you want to connect with people in a way that’s congruent with why they are drawn to you. For example, if your school is “one big family,” then it makes sense for the open house to have laugh-out-loud moments followed by teary-eyed stories and for the staff to dress more casual. However, if people know your school more for its spiritual development, then perhaps you want to use the open house to have moments of reflection. Whatever you do, be sure that it’s interesting and engaging for the attendees. Here are four things to do to stand out and entice more parents to book personal tours at your next open house. Send prospective attendees an email, text, or Facebook message to remind them to attend the open house. Or, you could even give them a call. This is essential because people simply forget, or their calendars get mixed up. But the biggest reason is that people may lose that initial excitement over time. A reminder rekindles their interest. Favorable first impressions are as good as gold – and they should start as your guests are pulling into the parking lot. • Recruit older students or staff to “patrol” the parking lot and make it a warm, welcoming place. Their job is very simple: say, “Welcome to the open house!” and point guests towards the reception area. • Make signs that direct parents from the parking lot to the location of the open house. Directions reduce people’s anxiety when they are in an unfamiliar location. 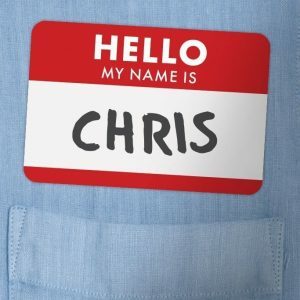 • Have people check in as they arrive and give them a name tag. This is for the sake of security and so you know who showed up. And best of all, it makes introductions easier. Don’t forget to wear your own name tags. • Please, don’t sell your school. This is the time to talk about your guests and their kids. You don’t want to come across as a pack of desperate salespeople. 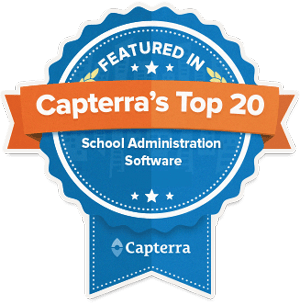 • As they check in, have someone give them a gift such as a tote bag with your informational folder in it, a mug – anything with your school name and logo. This is a nice icebreaker and it can contain information about how to sign up for a personal tour of the school. • Offer refreshments. It doesn’t have to be elaborate, just tastey; you can’t go wrong with fresh-baked chocolate chip cookies. Open houses should create excitement and at the same time be a low-pressure way for a prospective parent to get to know your school. It’s also very cost-effective to get everyone who is interested in one room at the same time. We suggest you assemble a panel of speakers ranging from current partners, teachers, the curriculum director, board members, and successful alumni, to the head of the “next school.” What is the next school? If you’re a K-8, then the next school is a high school. So you might ask the principal of a nearby high school to attend. If you’re a high school, then ask a representative from a local college to attend. • Your admissions director and/or head of school can be the MC for the event but they don’t need to be the main speaker. • If you have an excellent video for your school that highlights the reasons why someone should attend your school, then show it. • Your speakers should tell engaging stories; some should even make people laugh and cry. They should be as moving as speeches that bridesmaids give at weddings. • Don’t let your speakers “wing it.” You should review what they plan to say and of course rehearsing is vital. The open house allows parents to decide if they want to attend the personal tour. Take advantage of the opportunity – this is the time to book personal tours because if you let people leave without doing so, most of them never will. Now that you have booked a personal tour, be sure to follow up with an email. Gradelink not only includes email/text communication; we also have a prospect tracker that automates the process of collecting visitors’ information from your website and transferring it into Gradelink, so you can follow up with them. Learn more about communication and marketing here. 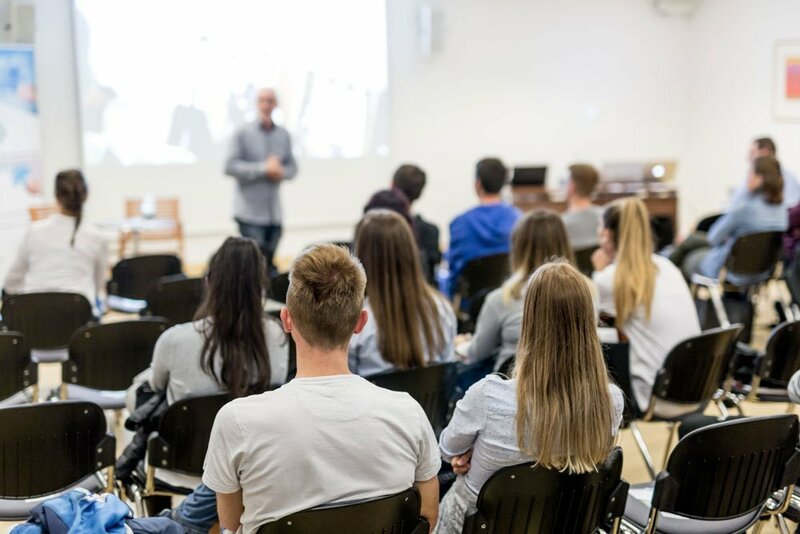 And speaking of personal tours, why not book a personal tour of Gradelink and find out how your school can save time, improve enrollment and fulfill its mission?